Melody Curtiss has over twenty years of experience in organizational management. Before coming to Helping Children Worldwide, she worked as administrative counsel, legislative liaison and legal advisor in Olympia, Washington and Topeka, Kansas for two different government agencies. She has 15+ years experience working in program development, outreach and development for nonprofits, as well as 15 years as executive director, organizational manager, and project lead for government, nonprofits, and business. Melody obtained her Bachelors Degree, teaching qualifications and Juris Doctorate from Washburn University in Kansas and a post-doctoral certificate in nonprofit financial governance from Harvard University, Kennedy School of Government. Melody lives in Arlington, VA with her husband and the youngest of their six children. She is a member of WHC Congregation in Washington, D.C., and is a published author “always working on the next book." She enjoys learning something new daily, listening to “every kind of music" and visiting with her large, diverse family, including fifteen grandchildren. 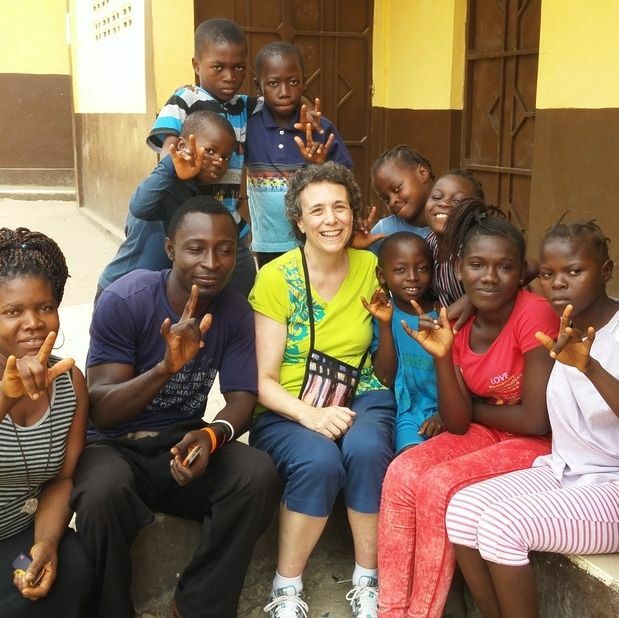 ​Prior to joining the Helping Children Worldwide staff in November 2014, Laura was an active volunteer with Helping Children Worldwide for more than ten years, serving on and leading the Education Committee, serving as the Vice Chair and then Chairperson of the Child Rescue Center Program Team, and leading multiple Volunteers in Mission teams to Sierra Leone. 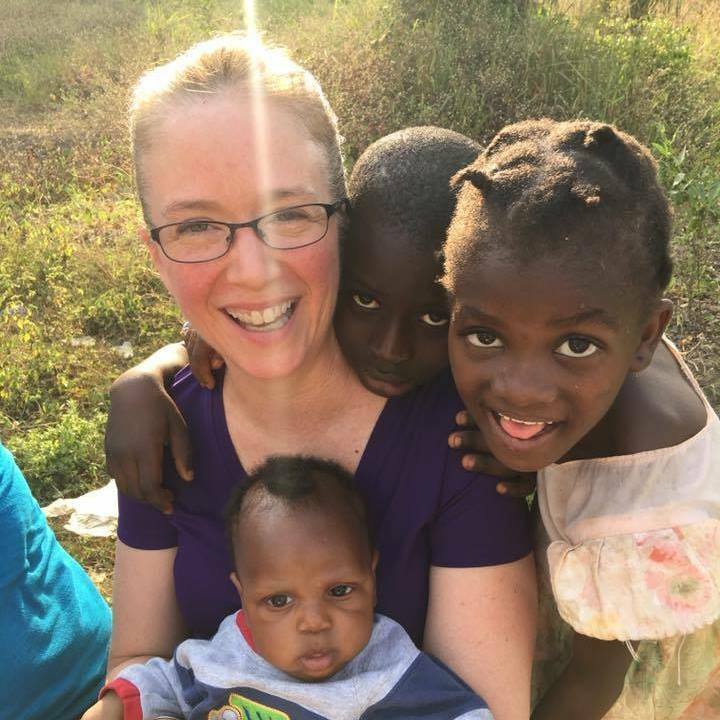 ​Laura holds a doctorate in education, and brings to her role an in-depth knowledge of education, and a deep passion for global child welfare, the care of orphans and vulnerable children, public health, ethical missions, and sustainable community-led development programs. Laura and her husband, David, are members of Floris United Methodist Church and have three children. Kim joined the staff of Helping Children Worldwide in June 2016, spending almost three years working directly alongside our African partners in Bo. 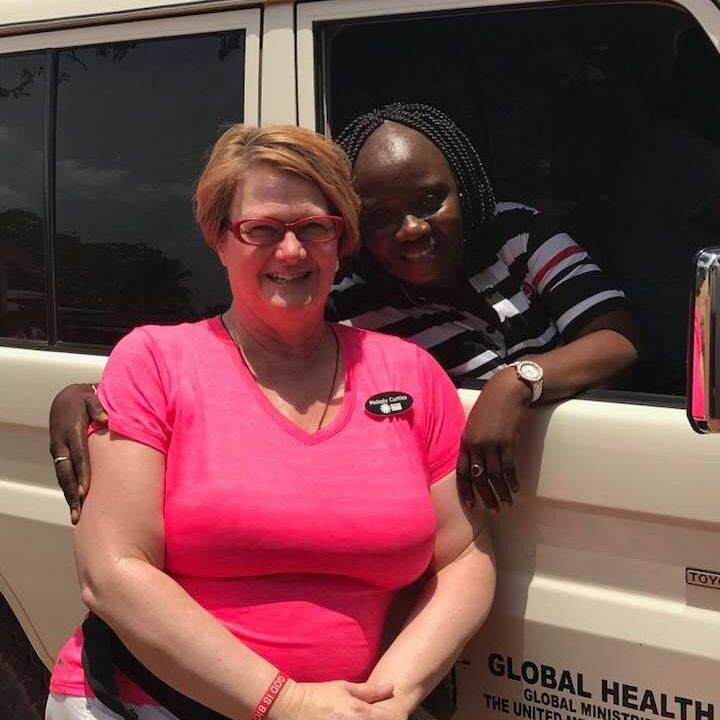 In early 2019, she relocated to headquarters and continues to work closely with the medical programs in Sierra Leone. She has 5+ years of community health experience in cross-cultural settings. ​Kim is a graduate of James Madison University where she earned her Bachelors in International Affairs. 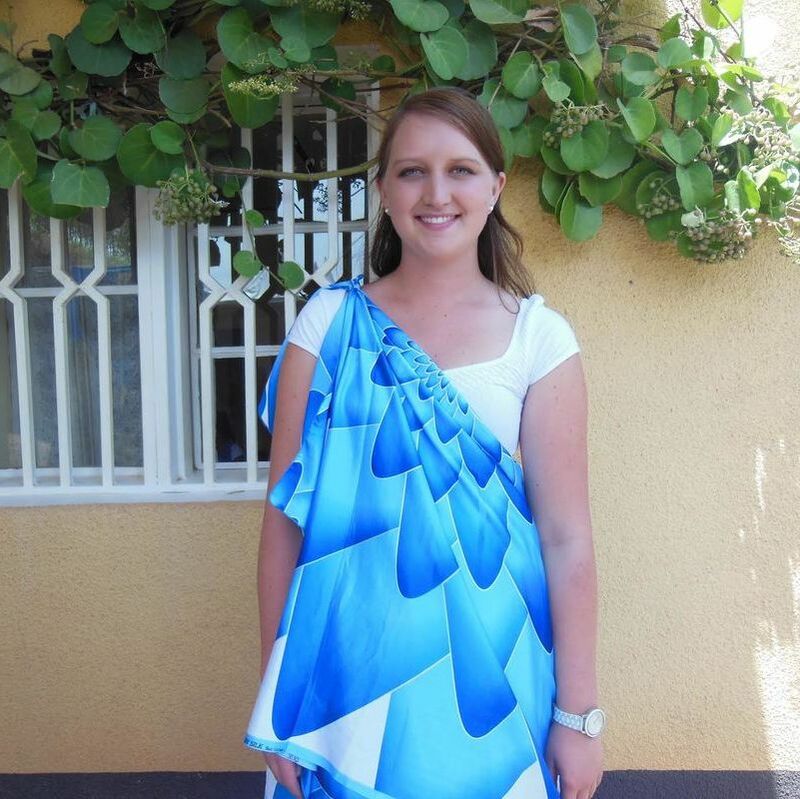 She is currently completing her Masters in International Development (with a concentration on Conflict, Security, and Development) through the University of Birmingham. Prior to her role with HCW, she completed a two-year stint with the Peace Corps in Rwanda and also interned with USAID in Kenya. Mohamed Nabieu (“Nabs”) was one of the first children that were recruited by the Child Rescue Centre (CRC) after the Sierra Leone civil war. The CRC sponsored him through University, where he gained his Bachelor of Science Degree in Development Studies. Upon graduation, he served the CRC in Sierra Leone for five years, first as the Sponsor-A-Child Coordinator, and later as the Programs Director. ​Nabs currently wrapping up his Master of Science Degree in Business and Organizational Psychology at the University of South Wales. In addition to extensive background in child protection issues, Nabs has a wide range of experience in leadership development, organizational change management, and team building. Nabs finds pleasure in serving vulnerable populations building people up and empowering the next generation of leaders. ​Cynthia has the pleasure of monitoring budget execution for the Child Rescue Center and Mercy Hospital. Cynthia was born and raised in Ghana where she received her undergraduate degree in Chemistry at the University of Cape Coast. Cynthia completed her post graduate studies in Chemistry at George Mason University in Fairfax, Virginia. Cynthia joined the staff at Helping Children Worldwide in the fall of 2007, after a successful career as an Environmental Chemist, to pursue her passion of supporting impoverished children and families in Africa. Cynthia and her husband, Thompson, are members of Floris United Methodist Church and have two grown boys, Leslie and Phillip. ​Linda joined the staff of HCW in 2007 and serves as the Missions and Compliance Specialist. Her responsibilities include managing team planning and preparation, handling the logistics of travel, managing team fundraising and finances, organizational compliance and grant research. ​Linda has traveled to Sierra Leone on several teams and really enjoys the times she has spent there. Linda and her husband, Derek, are members of St. Stephen’s United Methodist Church in Burke, VA. They have three daughters, one grandson and one granddaughter. ​Meghan joined staff in July 2016. She graduated from Northern Virginia Community College with an AAS in Business Management, AAS in Accounting, and earned her Bookkeeping Certificate in May 2015. 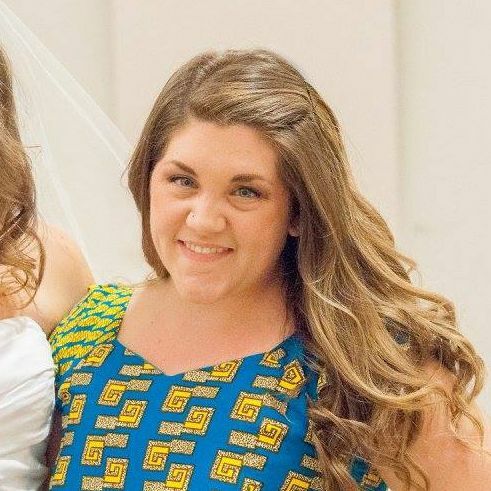 Meghan is currently working on her Bachelors of Interdisciplinary Studies degree program through the School of Continuing and Professional Studies at the University of Virginia. ​In addition to her newly found (and quickly growing) passion for alleviating extreme poverty in countries around the world, she is incredibly passionate about animal welfare and mental health awareness. In her spare time, if she isn’t baking something or reading a new book, you can find her walking her dog Macallan or very proudly cheering on her Washington Capitals, the 2018 Stanley Cup Champions (#ALLCAPS)!